The smallest of the three Scottish banks, Clydesdale Bank, part of the CYBG plc independent banking group, formed in Glasgow in 1838, also trades in England under the name of Yorkshire Bank, which itself has a history and heritage dating back to its founding in Halifax, West Yorkshire in 1859, when it was known as the West Riding Savings Bank. Inspired by culture, heritage, art and local history, their brands and the staff uniforms they wear make a powerful statement – a statement of pride and dedication. Dedicated to serving the people, businesses and communities around them, helping them to thrive and prosper. There is a strong corporate image and pride in their professionalism ingrained right across the business, and within the people that they would be little without. Having worked with the bank since 2011, we had been successfully providing a mixture of stock supported and bespoke garments to the bank for a number of years. 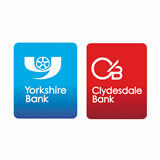 However, due to a larger rebrand being undergone by the Yorkshire and Clydesdale bank, the single uniform was to be replaced with one uniform for Yorks and one for Clydesdale, both along the same lines but very much using the unique colour palette of each brand. The bank had been working with a design and brand agency in London on the rebrand, who were tasked with reinforcing the banks’ ethos of ‘We Care About Here’. They in turn employed an external apparel design specialist to work with Corprotex to design the garments for the rebranded bespoke range. Once the designs had been created, Corprotex had the task of creating patterns, perfecting fits of garments and then managing the roll out program and the ongoing provision of a fully managed service. Of course it goes without saying that as well as looking great, form had to meet function; the uniforms had to fit, be flexible and durable, able to cope with different temperatures and be suitable for a wide range of tasks. In response to the feedback gained from initial branch visits, a survey and wearer trials, a staff uniform collection needed to be designed to be more fitted than the previous uniform. Designed to have much truer sizes across the uniform range, as a general rule, the bank staff needed to be able order sizes that they would buy on the high street. Inspired by the history, architecture, landscape and culture of Clydesdale and Yorkshire, a graduate from the iconic Glasgow School of Art, up-and-coming Glaswegian designer Aimee Kent, worked in collaboration with others to produce a bespoke range of individual tartan and tweed weaves and prints, with roots in the heritage of both banks. A broad ranging multiple choice uniform was produced, enabling staff to have a level of self-expression to their choice of uniform garments. A Ladies semi fitted Summer Dress in an easy ironing and care stretch fabric, with drape and asymmetric wrap front, waist seam and back darts for shaping. Styled with mid-length sleeves, concealed zipper, bespoke print lining and the option of a 15mm wide full grain leather belt with a Nubuck back and slimline buckle to be worn along the waist seam. A Tailored Ladies’ Jacket, being a single breasted and fitted jacket with princess seams and darts to ensure flattering fit. It has two buttons and a bespoke print lining, skims the hips and features an inside jet pocket and single vent. It is also available with an optional integrated handkerchief at the chest pocket. A Long Sleeve Blouse with a relaxed fit with shaped hem allowing for a tucked in or worn out look. It also has a full button front with modesty buttons, pin-tuck detail and button sleeve cuff. The Tailored Men’s Jacket is a single breasted two button jacket with double vents with bespoke print lining and inside jet pockets. It is also available with an optional integrated handkerchief at the chest pocket. The Men’s Waistcoat has a bias cut, tailored fit waistcoat in bespoke fabric. It has a four button front and adjustable back cinch. It is also available with an optional integrated handkerchief at the chest pocket to personalise the look. The Men’s Shirt is a semi-fitted shirt with semi-spread collar, detachable collar stays, convertible cuff, innovative cut at armhole and back seam. 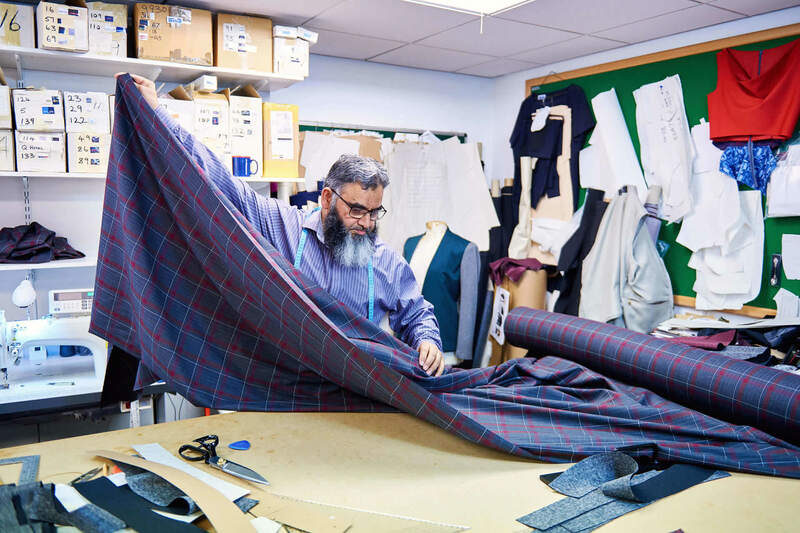 From the suit jackets to the summer dresses, the result is a stylish, hyperlocal offering of striking tartan and tweed, set off by original prints that liven up the collection, as well as small details including bespoke branded buttons and a care labels that reads ‘We care about local independent businesses. Designed and made in Britain.’ There can be no doubt that the fabrics and designs have personality, heritage and a story to tell. 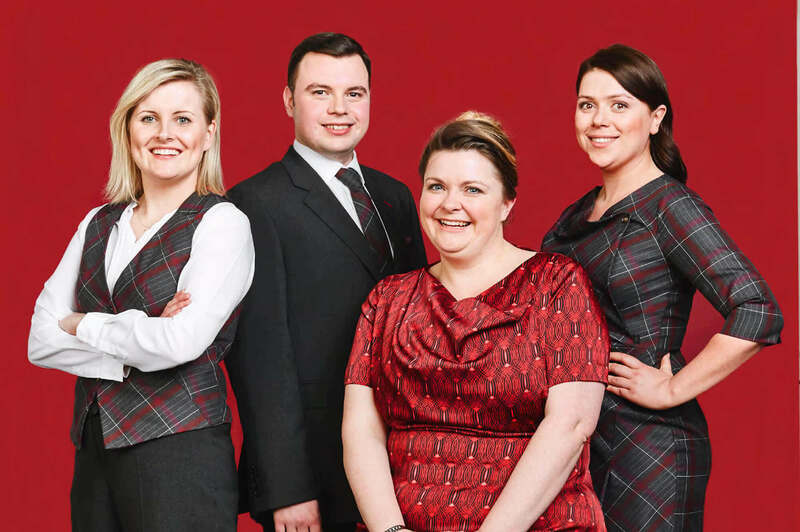 They without doubt set the Clydesdale Bank and Yorkshire bank’s staff uniforms apart from usual bank uniforms. The brand’s passion and care for craft is continuously reflected in the detail – branded buttons and packaging that emphasise the importance of location. 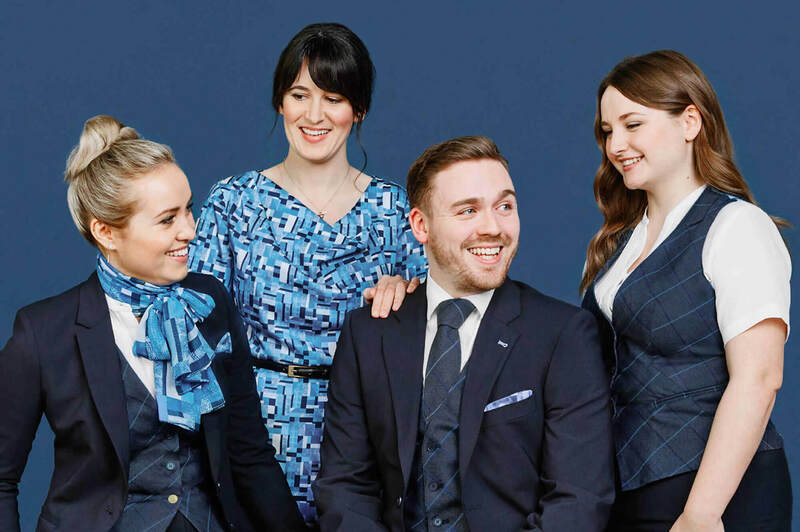 All of the corporate clothing collection went through extensive testing with staff to ensure it was created with as much care to fit as everyday wear and to ensure a great fit, we manufactured with different leg lengths, petite sizes and half shirt sizes. We are proud to have played a pivotal role in the subsequent success at the prestigious Professional Clothing Awards 2016, where this project won ‘Best Managed Major Contract’, and we are proud to say that we delivered approx 3,000 individual, custom-packed and prepared wardrobes to branches across England and Scotland over the 2 week roll-out period and continue to stock, tailor and supply CYB staff uniforms today.